iDeal Floors has the answers to your commercial flooring questions! Mannington's Essentials Sierra VCT flooring guarantees years of stylishly versatile use for your high-use flooring areas. Installation is easy - just glue down and enjoy! 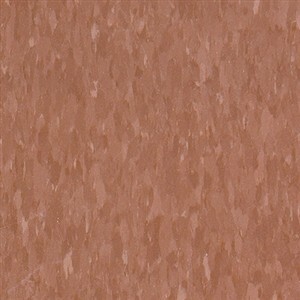 This rust-colored VCT has richly variated darker and lighter flecks of color throughout its subtle pattern. Additionally, it has a 3.2 mm thickness and a 126-mil wearlayer that will perform beautifully under the toughest of circumstances with resiliency and comfort.